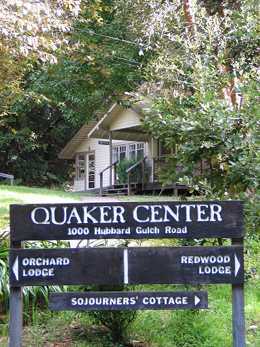 Our annual retreat is held each year at Ben Lomond Quaker Center in the Santa Cruz mountains. This year, we will hold the Annual Retreat over the Memorial Day Weekend, May 24-27, 2019. Newcomers are welcome to participate, along with Meeting members and attenders. Registration forms are due by May 19, 2019.